Will Montana's Forests Catch Fire This Summer? Home | Multiple Categories | Will Our Forests Burn this Summer? You are a fire-adapted Missoulian, not that you have much choice in the matter. If you’ve lived here very long you’ve seen flames on our skyline, smoke in our valleys, smoke jumpers practicing at the airport, and retardant planes and helicopters lumbering across our skies. Worst case, you’ve been evacuated from your home or had property damaged during a wildfire event. Wildfire shouldn’t come as much of a surprise. You know that beautiful stand of Ponderosa Pine you love so much in the Missoula or Bitterroot valley? Historically, its likely that area will experience a wildfire, on average, once every 20 years. So will this be one of those summers when we have fires? 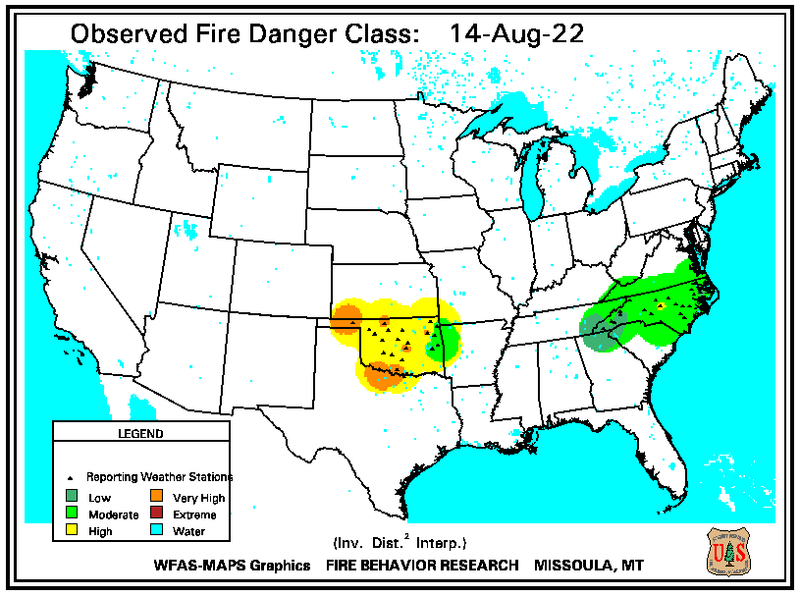 A fire danger rating is predicted, nationwide, each day by the USFS. Since I was skiing on fresh snow on Lolo Peak last week, and my neighbor is constantly complaining of too much rain for her tomatoes, it comes as no surprise that Missoula’s fire danger is currently low. That’s all well and good, but what’s in store for the rest of our summer? The National Interagency Coordination Center predicts a fair chance (40%) that July through Sept will be warmer and drier than average. As for wildfire, the center predicts “normal significant fire potential” trending towards the upper limits of normal. So, will we have wildfires this summer? Yes….probably. The far more difficult (and more interesting) questions are: How and where will they start? Where and how fast will they spread? How intensely will they burn? How big will they get and how long will they last? As our summer begins and starts to heat up, I’ll be checking in with the world class scientists at the Missoula Fire Sciences Laboratory to explore what current research tell us about how wildfires are likely to behave. Photos courtesy of the National Interagency Coordination Center. Mark Vosburgh is a fourth-generation Montanan who has lived in Missoula for 26 years. He’s worked as chemical engineer, backcountry ski guide, and wildfire scientist. He started playing mandolin and attending bluegrass jams a few years and has just started performing with local bands: The Black Mountain Boys, Alley Cats Bluegrass Band, and The Flaming Wheelbarrows. He currently works for the US Forest Service as a scientist in the Fire Science Lab.